Quitting sugar is one of the most challenging diet changes, but also one of the most powerful and rewarding ones. I used to be pretty hooked on sugar and it took me a few trials to get where I am now; eating practically refined sugar-free. Nowadays I can’t imagine going back to my old eating habits. My overall health, energy levels, mental clarity and skin got so much better since I quit sugar and I also lost weight. If you want to know how to quit sugar, this article is for you – I’m sharing everything that worked and didn’t work for me. Reducing or better even, eliminating refined sugar from your diet is sure to improve your health significantly. This powerful decision can transform your life in so many ways. If you want to learn more about what sugar does to your body I really recommend checking out dr. Mercola’s website. He shares a lot of good information about sugar and the effects on your health. The main reason for me to create this blog is to inspire others to live a healthy, self-loving life. It can be so simple and enjoyable to take care of yourself and anyone interested in improving their quality of life can do it from within their own possibilities. One of the first steps is to become more conscious about the ingredients in our food. Do they resonate with what we wish to put into our bodies? The next step is to start making actual changes. 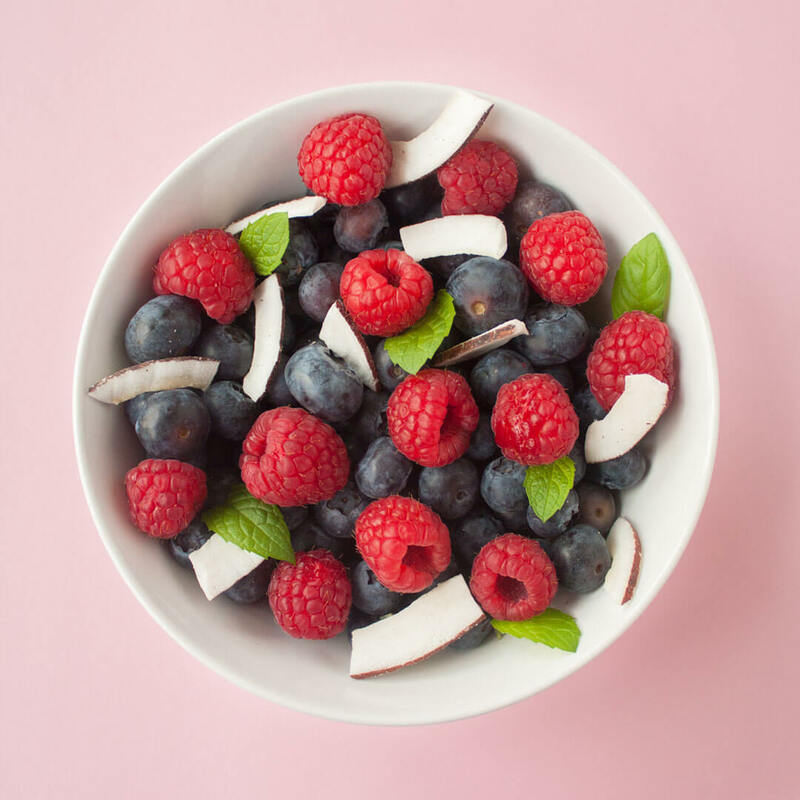 If you decided to reduce your sugar intake or want to know how to quit sugar for good, it means that you feel that you have somehow outgrown your current diet. This can be because of medical reasons, aesthetic ones or a combination, but the fact is that you want to give yourself (and maybe your partner or family) something better. Congratulations, this is truly a big realization and a brave step towards a higher quality of life! The focus in this article is on practical tips that will help you make lifestyle changes that last. In order to change our patterns we need to understand where the challenges are and how to work with them to make the switch. My aim is to share with you what worked and what didn’t work for me, so that it will make your process easier, more enjoyable and durable. The initial period of a sugar diet change is without a doubt the most challenging. Sugar is very addictive and we all have our own level of dependency on it. We often only discover how dependent we really are on it when we try to quit. While you may be fully determined to battle this tempting sweetness, your mind will try to pull a few tricks to make sure you keep it coming. The good news is that it will get much easier. Both your body and your mind adapt to changes relatively quickly and you will usually feel a significant difference within a few weeks. Preparing yourself by knowing what to expect and how to deal with temptations will increase your chances of staying sugar-free. I quit several things over the course of my life such as cigarettes, meat, caffeine, dairy, alcohol and processed foods. Quitting sugar was by far the hardest for me. This is mainly because I am much more sensitive to it than to any of the other things. I still love and will probably always love a good piece of anything chocolate. The good news is that you don’t have to give up on it, just switch to a healthier kind – more about that in a bit. The thing that makes quitting sugar so challenging is that it’s everywhere. One of the hardest things to deal with was my own environment. See, when you are a vegetarian or vegan, people usually don’t tell you to make an exception and have a piece of beef just for once. Or to take a puff of a cigarette when you quit smoking. It’s understood that these things are off limits for you. Sugar on the other hand has a different effect on society. Usually you have to explain a few times that you don’t eat sugar, no not even on a special occasion and no also not just a small piece. Yet you might still be surprised by your colleague who, with the best intensions, bakes a birthday cake with sugar for you. True story. This lifestyle change has enormous potential, but it does require discipline. You’ll likely be saying no often and you will be questioned for your decision. And that’s ok, because it’s really worth it. Just be clear about it to yourself and to others, so that you’ll have less temptations to deal with. Remember that you do this for you (and perhaps your partner or family) and there is so much to gain from. It’s one of the best investments you can make to upgrade your quality of life. Curious about how to quit sugar and get through the initial period (sanely)? As mentioned before, the initial period of a sugar detox is the hardest. You will probably have some sort of withdrawal symptoms, which makes sense knowing how addictive sugar is. Luckily after the first two weeks you will have much less or even no cravings. So the main thing is to get through that initial period. Some people find that it works best to reduce their sugar intake all at once (I am one of them) while others prefer to do it step by step. This is a totally individual approach and there is no right or wrong here, it’s about what works best for you to meet your long-term goals. Before I continue, I want to emphasize that it is not advisable to go straight from eating a sugar-loaded diet to not eating any sugar at all. This can be a huge shock for your body, so do proceed with caution and consult a medical doctor or nutritionist. As with many things in life, something that might seem impossible at first will get much easier along the way. What worked for me was to keep checking with myself. This will help you to not only make the desired changes, but also to stick with them. And that’s what it’s all about; making long term adjustments that fit into a healthier lifestyle. If you want to go step by step, start by eliminating the things that you are less attached to. Let’s say you don’t really miss drinking sodas, but you can’t imagine yourself yet without chocolate cake in your life. That is totally fine. Just make conscious decisions about it and start cutting out those sugary products that you can be without more easily. Keep those foods that you are attached to at this point, but choose high quality products. If it’s a chocolate bar, buy that one with quality ingredients and a high cacao percentage. I recommend to quit or if it’s too hard reduce all added sugars during the initial period. That means also natural sweeteners such as maple syrup and coconut sugar. If you decide afterwards to use these sparingly instead of refined sugar, that’s fine, but try to give your body at least a temporary break of all added sugar. It’s very important to be mindful about when you eat something. This means that you only have something when you really feel like it and try to have a small piece instead of devouring the whole thing at once. Go step by step until you eliminate all sugar intake or as much as you want to. If this is all too tempting or too slow for you, you can try and quit all at once. This is not the easiest way for everyone, but it can work well if you prefer to take a more radical approach. What helps a lot is to start after a detox or juice fast which cleans part of your system, energizes you and resets your taste buds back to pure, natural flavors. You will have much less or possibly no sugar cravings at all and naturally sweet things such as fruit will suddenly taste much sweeter than you were used to. If you’re new to detoxing, consult a medical doctor or nutritionist, as you need to know what to do here. I tried both sugar quitting strategies and the second one worked the best for me. I found that it’s much easier for my body to get used to not having any added sugar at all, than having a bit once in a while. That being said, you still have to prepare your body. When I quit sugar I hadn’t been eating many sugary foods such as candies and sodas for a while. Everyone is different and there are plenty of people who enjoy sugary treats occasionally without feeling tempted to have them on regular basis, so find what is good for YOU! Take an honest look at your sugar consumption patterns and make a realistic plan according to that. You want to keep a healthy balance between challenging yourself and making it as easy as possible. Sometimes when we really want something we become a bit uptight. If it doesn’t work out the way we would like it to, we feel disappointed, get anxious and think bad of ourselves. First of all, try to be tolerant and kind to yourself. Going sugar-free is really not a simple thing and we all slip sometimes. Cut yourself some slack here. It took me a while to get where I am now and that’s fine, it’s all part of it. If you had that piece of cheese cake or a candy bar, it’s really ok. Even if you had more than that! It doesn’t mean that you have to start all over again now, or that you can’t do it. Maybe you didn’t eat enough that day and your body needed some quick energy fix or you were stressed. Or tempted because you were around your grandma’s homemade pudding that you’ve loved since you were a kid. Eating is often an emotional habit; the more we understand where something comes from, the better we can anticipate it. Whatever it was, it happened. Recognize it, learn from it and move on. Timing is so important. You can have an amazing idea, but if for whatever reason you’re not ready, it might be better to wait. Or to create the right circumstances for it. The first time I quit sugar, I was doing great for several months until I got closer to the presentation date of my graduation project. Lack of time to prepare tasty sugar-free snacks combined with study stress got me back to my old eating habits in no time. While you can’t always anticipate everything, I find that the more prepared I am, the better I deal with temptations. First of all, get rid of any left-over food that no longer fits into your new diet. Give it away, throw it out if there’s no other way, but don’t keep it around. Stock up on healthy, tasty sugar-free treats and pack some with you when you go to work or elsewhere. When you’ll crave something sweet, you’ll have it right there waiting for you. 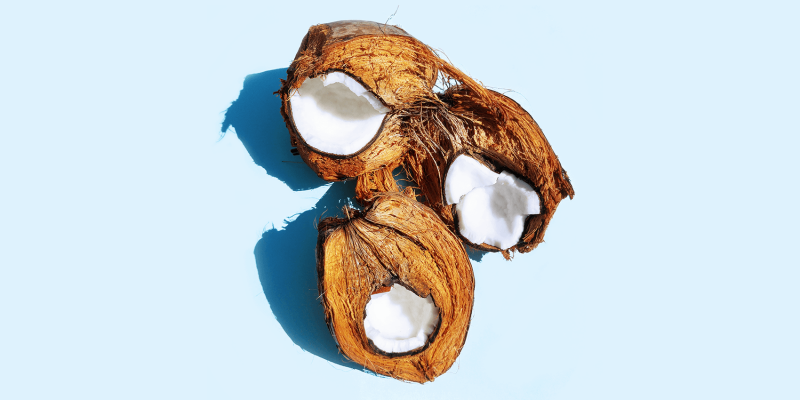 Coconut and coconut products are great for sugar cravings and offer a lot of health benefits. 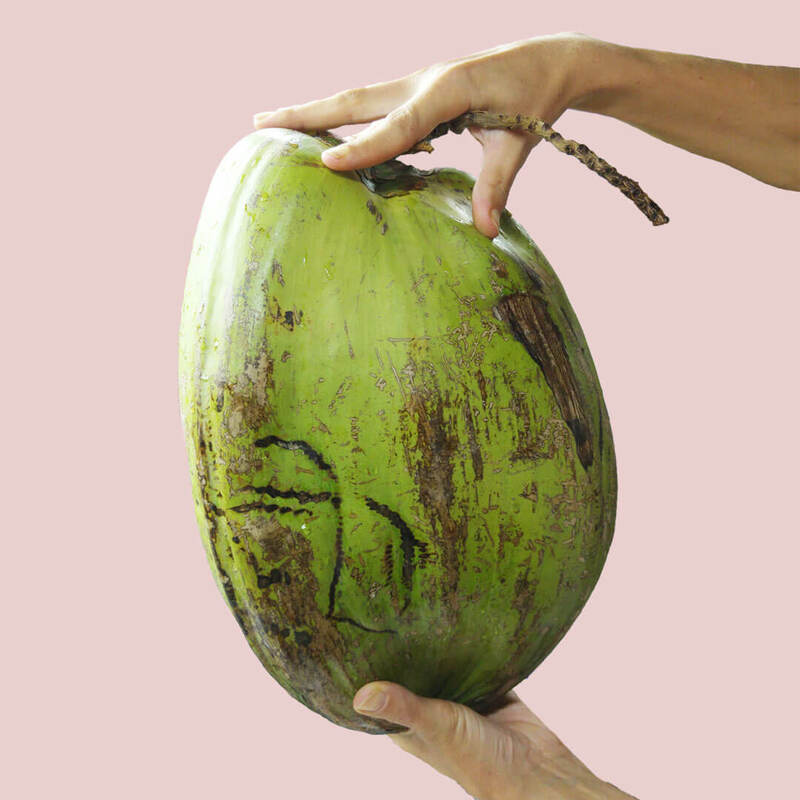 The healthy fatty acids found in coconut called MCT’s provide a direct source of energy. Unlike most other fats they don’t get stored in the body and they help support weight loss. I love snacking and definitely have a sweet tooth. This was one of the main reasons for me to start experimenting with recipes that are tasty as much as they’re healthy. Honestly, I wouldn’t know how to quit sugar in the long run without having healthy alternatives at hand. 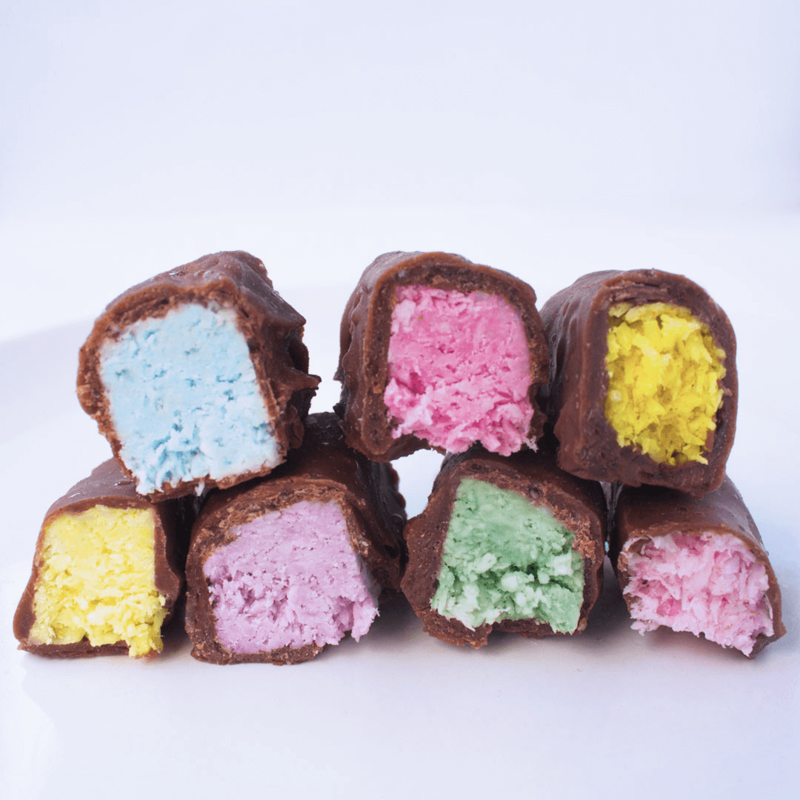 All the recipes on this is coco are refined sugar-free and full with nutrients. They make a delicious treat that you’ll enjoy and they’re easy to prepare. I use small amounts of natural sweeteners such as dates, maple syrup and coconut sugar. Back to the temptations. How to quit sugar the right way? First of all, be aware of your upcoming agenda. If you know that you have a special dinner planned with your favorite dessert being served and you are not sure that you can resist it, don’t start just yet. Same goes for any stressful time coming up. Give it a good thought if you are ready to face that time with the discomfort that a sugar detox can and most probably will cause. In case you decide you are going for it here and now, make sure you have enough healthy distractions and alternatives available. And finally when you go to some social event, don’t be shy to ask if there will be sugar-free options. If not, just bring your own. Eating regularly and focusing on highly nutritious, tasty food will lower your cravings significantly. Satisfying, tasty meals with lots of fresh vegetables and protein will keep you full and your blood sugar balanced. Keep in mind that your body needs some natural sugars in moderation from fruit, vegetables and nuts. Make sure to include good fats such as coconut products, avocado, nuts and seeds. They provide a good source of energy and support many important body functions. I like starting the day with a filling, protein rich breakfast like a smoothie, oatmeal with all sorts of toppings or pancakes. During the day I make sure that I am always full enough as I’ve noticed that my cravings mostly happen when my body asks for an energy fix. Make sure not to skip meals, fill up on the good stuff and get your sweet fix from fruit, nuts, dates, homemade chocolates, oatmeal, nice cream or a sweet, nutritious smoothie. Get inspired and experiment, you will love it! It is often much easier to take a challenge together with someone else. You understand what you both go through and are there to motivate each other. Look for people in your private circles or on the internet and join forces to kick the sugar habit together. It will make it easier and more fun! When we are tired, we often crave sugar to compensate for the lack of energy, so make sure you are well rested. Exercise gives you energy, reduces stress and motivates you to stay fit, while working on a strong, fit body. It also helps your body ask for what it naturally needs. You are much less inclined to crave junk food over a fresh and healthy meal after a strong work-out. There is no need to think in terms of forever, only or never: you are the one who decides what you want in your life. If it feels like too much of a commitment, do it for a month and see how you feel. Whatever you decide afterwards, that month will leave a positive impact on your health and life. If you decide it’s not for you at the moment, you might get back to it later on in your life. Remember that it’s up to you how you want to continue and any decision that is true to you is a good decision. Besides the obvious sugar bombs like candy, sodas, cakes, chocolate and ice cream, there are tons of other products that contain sugar. It depends how far you want to take it, but if all the way is your answer, then you have to carefully read all the food labels and check all the ingredients. You will be surprised how many things contain added sugar; bread, sauces, salad dressings, pre-packed juices, cereals and much more. In general I try to avoid processed foods as much as I can and I can only recommend you to do the same. → It’s important to know that sugar doesn’t always go by the name sugar. It can come in as much as 50+ (!) variations, so look out for names such as corn syrup, sucrose, maltodextrin, dextrose, malt syrup and fructose. → Artificial ”sugar-free” sweeteners are certainly not a healthy sugar replacement. As a matter of fact they come with their own health risks. Aspartame, Sucralose (known as Splenda), Saccharin and Acesulfame-K are some of the most harmful sweeteners and should be avoided. → Food made from white flour such as cakes, cookies, bread, pasta, pizza etc. has a similar effect on your body as sugar and raise your blood sugar. Reducing or eliminating white flour from your diet is a good step forward. Positive lifestyle changes are meant to improve your quality of life. Sure, it takes some adjusting, but keep in mind that it’s all for the good. Enjoy the process, don’t stress about it or freak out when you slip, but focus on all the good things it gives you. It can be very motivating to be inspired by others, but don’t compare yourself, it’s not a race. This is about you and your progress. You will get there on your own pace. Whether it is clear skin, those few pounds less on the scales, more energy or any of the other benefits you are looking to gain, I promise you it is so worth it! 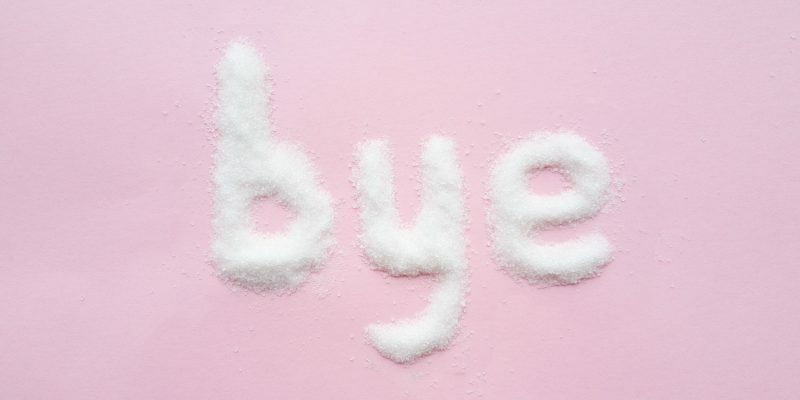 I hope you enjoyed this article about how to quit sugar. Have you tried going sugar-free? What worked for you and what didn’t?